Официальный сайт разработчика и производителя ТМ «Фульвогумат»«Иван Овсинский». LLC NPO «Alfa-Group» is a science-intensive manufacturing enterprise, a resident partner of the Federal State Unitary Enterprise Siberian Department of Agrarian Science, FAO Russia. The main task of the enterprise is to provide agrarians with effective scientific developments, technologies, the introduction of which would increase the profitability of agro-industrial enterprises and raise them to a new production level. The main components of the innovative activity of Alfa-Group LLC are scientific research in the field of natural and technical sciences, the implementation of the State program of import substitution, the study, the unification of a huge array of scientific developments that are now concentrated in the organizations of agrarian science. Growth stimulator Fulvohumate “Ivan Ovsinsky” based on the humate of potassium . This is a completely balanced solution of humic acids and fulvic acids for plant nutrition. Regular application of the stimulator provides for an increase in germination, activation of tillering and fruit formation, improvement of crops, an increase in the overall quality of the fruit, and an increase in all useful properties. Among other things, this drug increases the resistance of crops to unfavorable climatic factors. 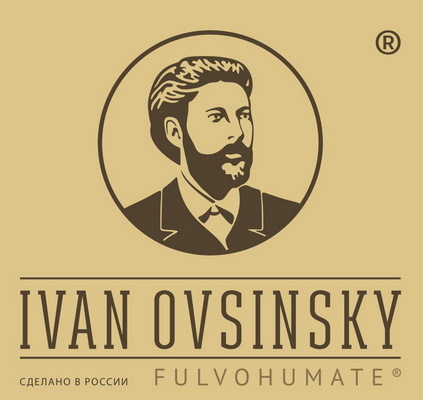 Fulvohumate “Ivan Ovsinsky FODDER” for farm animals . 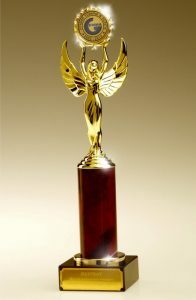 It is an organic fodder additive for adding to the feed and drinking of animals and birds. This drug is an activator of physiologicalprocesses, immunomodulator, an organic stimulator of metabolic processes, which accelerates the growth of live weight and strengthens the immune response. Fulvohumate “Ivan Ovsinsky Fodder” raises the productivity of farm animals, improves the absorption of nutrients, increases the efficiency of feeding without increasing the amount of feed in the rations. What are the competitive advantages of Alfa Group products? At least, there are three such advantages. High-quality raw materials, which can be obtained only from certain deposits. The nanosize of the active substance, which allows penetration into the biota at the intercellular level. This low costs per hectare (the head of an animal), saving mineral fertilizers (feed) and, as a consequence, high profitability of the drug. LLC NPO «Alfa Group» is no longer just a science-intensive enterprise, whose main work is scientific research. It is a company with many-tonnage production. Research work nevertheless continues, in turn five more new products, the market entry of which is planned for 2017-2018. It is impossible not to say how the company got its name. 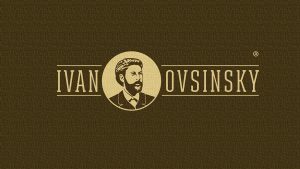 Ivan Evgenevich Ovsinsky is a great Russian agronomist and scientist, a key person in creating the foundations of organic, environmentally friendly farming. Therefore, paying tribute to Ivan Evgenyevich, the founders of the NPO Alfa Group LLC made him their own person, put his ideas into the basis of the company’s ideology. Ideology, which is precisely to obtain the maximum productivity of agricultural enterprises from the use of environmentally friendly, non-toxic, non-hormonal growth stimulants for plants and animals. Well, at the heart of these stimulants is a low-molecular humic chelator with humic and fulvic acid, squalene, chelates and essential amino acids.